What is medical screening and why do I have to go through it? Medical screening provides the insurer with all the relevant facts to make a decision on whether they can offer travel insurance. It is used to calculate a risk score, which is determined from the questions you answer during medical screening. There will be a score for each of your medical conditions. The total score may also be affected by where you are travelling to. This is then used by the insurer to determine whether they will cover you and on what terms. All of this may sound daunting. However, you will just need to answer a series of multiple-choice questions that takes a few minutes. Some of them might seem personal, but your answers are completely confidential. It is very important that you answer the questions as accurately as you can to ensure that you are covered. If you do not answer the questions, correctly, it may affect any claim. At Free Spirit, we’re proud of the fact that our specialist travel insurance has no age limit. We look to insure those aged 70, 80, 90 or older, so you might sooner associate the benefits of our cover with older holidaymakers. But our no age travel insurance applies to younger travellers too, in fact, we cover many children who are travelling with their parents or in groups. Travelling with children who have existing medical conditions or disabilities can be challenging, but there’s no reason why they can’t enjoy a holiday. However, the last thing parents, carers and guardians need is a complicated route to taking out travel cover. Our medical travel insurance for children works in exactly the same way as it does for adults – we aim to offer a specialist travel policy for children with virtually any pre-existing health condition or disability and the same key features and protections. All we require is that there is an adult on the same policy and that the child’s doctor is happy for them to travel. Why does my child need specialist travel insurance? Covering your family for any overseas trip is always necessary; you never know when your holiday might take an unexpected turn. Accidents, injuries and even lost luggage can all disrupt a family trip away and run up huge expenses. If your child has a medical condition or disability, the need for suitable travel insurance is even greater. Naturally, if your child does need emergency medical assistance while you’re away, your first priority will be getting the care they require. Not only can a specialist travel insurance policy ensure you can access this help quickly, it also means you won’t be responsible for paying the medical bill. Overseas medical care can be incredibly expensive, but travel insurance is there to meet the costs*. Finding this cover from a standard travel insurance provider can be difficult though; many will decline to offer cover to those with health conditions or disabilities or will provide cover excluding the health conditions. That’s where a provider who specialises in tailored medical travel cover, like Free Spirit, can make all the difference – we can cover your child and their specific health needs, subject to a medical screening. What constitutes a child when it comes to travel insurance? In terms of our travel cover, a child is anyone under 18 years of age. For children to travel under a Free Spirit specialist policy, we simply require that an accompanying adult is named on the policy with them. In the case of most family holidays, this will usually be a parent or guardian, but could also be a teacher, family friend or carer if your child will be travelling without the rest of the family. 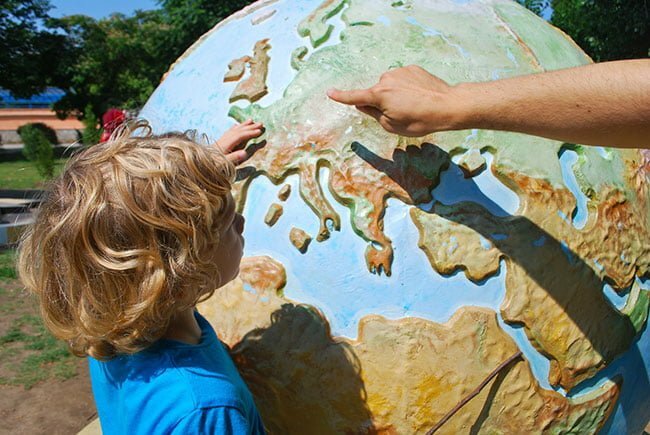 School and college trips, excursions with friends’ families and tours with clubs or teams are all wonderful opportunities for older children to explore the world. Our specialist travel insurance allows them the freedom to do so, while also giving you the peace of mind that their medical condition or disability is covered. Can I cover my child and the whole family on the same policy? Yes, you can. We want to make it as straightforward as possible for you to secure travel insurance, which is why we can cover the entire travelling party, such as your family or the named adult(s) travelling alongside your child, on the same policy, even if they don’t have existing medical conditions or disabilities. With travel insurance in place, you will not lose the money already spent on flights and/or accommodation should the trip have to be cancelled because your child has become too unwell to travel. Separate policies don’t normally offer this protection, plus, having a single travel policy for everyone means that you will all benefit from the same key features of Free Spirit cover*. What’s included with medical travel insurance for children? Our travel insurance for children with medical conditions or disabilities includes all of the same benefits as our policies for adults; there’s no difference in the levels of cover available (except for personal accident cover). You can still choose between our Super cover or Super Duper cover options, and you can select either single trip or annual multi-trip travel insurance, which enables your child to travel as many times as they like over the course of a year (as long as these trips are made with an insured adult). By purchasing a medical travel insurance policy through Free Spirit, you can rest assured your child’s health condition or disability will be fully covered (subject to medical screening). All of our customers have access to our dedicated 24-hour emergency medical assistance helpline, meaning help is just a phone call away. View the full list of our travel insurance features, or take a look at the full policy terms and conditions. How do I apply for cover? Applying for medical travel insurance for children with us is simple. You can apply online or call and speak to one of our friendly expert team on 02392 419 080 (Monday – Friday, 8am – 6pm, excluding Bank Holidays). As we’ve already mentioned, the most important thing to establish before planning a trip is that your child’s doctor is happy for them to go. Speaking to your child’s GP will also enable them to make you aware of any additional medication or steps you might need to take ahead of the holiday, such as vaccinations. Or, depending on your child’s medication, you might need a doctor’s letter to allow you to take the medication on board a flight with you, or into another country. Make sure you know where the nearest hospital is to where you will be staying, and check ahead to see if you will be able to buy any non-prescription medications over the counter in your destination. If not, stock up before you go and split it across your luggage so that you’ll always have a supply with you, even if anything goes astray. Be aware of the climate of the country your child will be visiting. If it’s very warm or cold, read up on how it could affect your child’s condition and take any recommended precautions. In hot weather, drinking plenty of water and applying plenty of high-factor sun cream is good advice for anyone, but it’s even more important for children with medical conditions or disabilities. *Subject to terms, conditions & exclusions of the policy. Preparing for a holiday often means stocking up on sun cream and paperbacks. However, if you’re counting down the days until your next trip, there’s one element of holiday planning that’s arguably more important than any other – travel insurance. What’s more, travel cover is even more important for people with pre-existing medical conditions or disabilities. 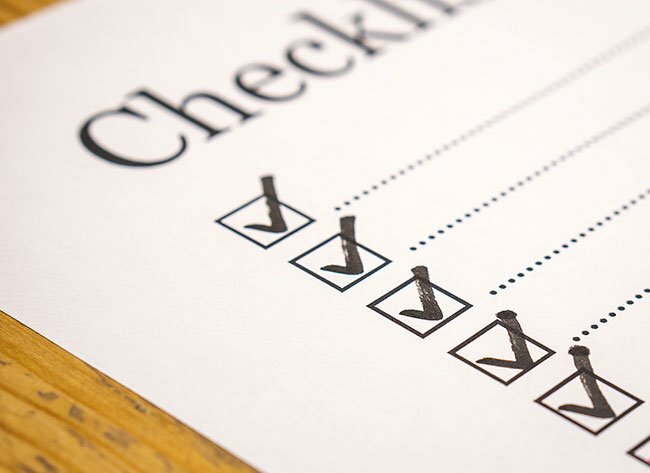 There can be more to think about when arranging medical travel insurance, so we’ve created the following checklist (also available to download and/or print here) to help you ensure your travel insurance ticks all the boxes. 1. When should you purchase medical travel insurance? Travel insurance, especially specialist cover for existing health conditions or disabilities, should never be left until the last minute. If anything were to happen during the run up to your holiday that means you cannot go, such as a worsening of your health, you could lose any money you’d already spent on your travel plans, such as flight and accommodation expenses. That’s why we strongly recommend taking out travel insurance as soon as you have booked your trip, so that you have the benefit of cancellation cover straight away. You’ll be covered if you need to cancel your holiday from the moment your policy is in place, or, with an Annual Multi-trip policy, on the date you choose*. 2. Does your policy allow you to include travelling companions? The ability to add those you will be travelling with to your travel insurance policy means that they too will be covered if you need to cancel your holiday because of your medical condition or disability, or if your trip had to be cut short due to your health*. At Free Spirit, we can include your entire travelling party on your policy. 3. Does your insurance provider understand your health needs? When you have an existing health condition or disability, standard travel insurance policies tend to be limited in the cover they can offer. A specialist provider like Free Spirit will be more sympathetic to your unique medical needs. Our travel insurance policies are specially designed for people like you. 4. Are there any limits to where you can travel? If you are well enough to travel to your dream destination, and more importantly, your doctor is happy for you to go, we believe you should be covered to do so. Our specialist travel insurance covers most places in the world excluding those where the FCO advice against travel. We aim to cover your medical condition(s) or disability(ies) for trips in Europe, as well as the USA, Canada or the Caribbean (although these countries mean higher premiums). We will ask you to go through a simple medical screening process when applying for cover, however we have designed this to be as quick and straightforward as possible. 5. Does the policy include wide-ranging travel cover? Make sure your policy includes cover for cancellation and emergency medical expenses, including repatriation back to the UK, as well as for your luggage, travel documents, medication and medical aids (more on this below). A complete travel insurance policy should also include cover in the event of journey delays, personal accident and legal expenses. Free Spirit medical travel insurance includes all this and more, although as with all travel insurance policies, terms and conditions will apply. Most importantly, Free Spirit will, subject to medical screening, provide full cover for your medical conditions and disabilities. 6. What medical questions should you expect to be asked when applying for a quote? In most cases, travel insurance providers won’t need to see your formal medical records when you apply, but they may request them if you make a claim. At Free Spirit, we will ask you a series of questions relating to your specific medical condition or disability when you apply for a medical travel insurance quote. Please ensure that you have all information to hand when you apply. Obtaining medical travel insurance with us is quick and simple. Speak to one of our friendly expert team based in the UK from Monday to Friday, 8am-6pm (closed Bank Holidays) on 02392 419 080 or get a free quote online. 7. Is cover for terminal conditions included? Many travel insurance providers will refuse to cover people with terminal conditions. However, here at Free Spirit, we are proud to be one of the few specialist providers that can offer cover for people with terminal or life-limiting conditions. To obtain a quote, please call us on 02392 419 080, Monday to Friday, 8am-6pm (closed Bank Holidays). 8. Are you covered to take part in activities during your holiday? Having an existing health condition or disability needn’t stop you from participating in new activities and experiences when you’re on holiday. Specialist travel insurance policy will often include cover for a number of activities provided your doctor is happy for you to do so. Please check the policy wording or contact the provider to make sure you are covered before you travel. At Free Spirit, we provide cover for over 100 activities free of charge. 9. Does your policy include cover for medical aids and medication? Travelling with a medical condition or disability means that you may need to take medication and/or medical aids with you, so make sure that your travel insurance covers these. Our policies include cover for loss or damage to medical aids up to £1,000 with ‘Super’ cover, and up to £2,000 with ‘Super Duper’ cover. We include cover for loss or damage to prescribed medication of up to £250 with ‘Super’ cover, and up to £500 with ‘Super’ Duper cover. 10. Still have questions about specialist travel insurance? Ask Mary! 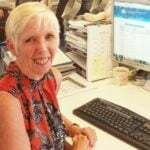 Free Spirit Manager, Mary Holt is a recognised expert in medical screening and in underwriting travel insurance for people with medical conditions. She has answered a wealth of customer queries on different conditions and circumstances and you can read through her responses, or feel free to ask Mary a question yourself. *Cover is subject to the terms, conditions and limits of the Insurance Policy. Having a serious medical condition can have a significant impact upon a person’s life, particularly if it’s a condition for which there is no cure. Yet, while someone with long-term medical issues will already know about the challenges it places on living a normal life, it’s clear that it shouldn’t stop them from being able to enjoy life to the full. Unfortunately, many standard travel insurance companies don’t see it that way. If you have a serious medical condition, they are unlikely to be able to provide you with holiday insurance that covers your medical condition, which may mean that you don’t travel at all or that you travel without full cover (which we don’t recommend). Cirrhosis is the name for the scarring of the liver caused by long-term damage. That scarring can prevent the liver from working correctly and, without proper treatment, could lead to complete liver failure. The liver is one of our most vital organs, so any impairment to its function is extremely serious. The liver is where our bodies store glycogen for energy, where bile is produced to break down fats, where substances are made to clot the blood and where all the toxins in our body are processed. There is currently no cure for liver cirrhosis, but treatment can manage the condition and slow its progression. For someone with a well-managed condition, there is no reason why they cannot take a holiday. Free Spirit provides travel insurance for many people with existing liver conditions, including liver cirrhosis. Human Immunodeficiency Virus, or HIV, damages cells in your immune system, weakening them and making you susceptible to serious infections. There is no cure, however the development of antiretroviral medication over the past few years has been significant and now with the right medication, a person can see their HIV become almost non-existent. Providing you are fit to travel, there is no reason why a person with HIV cannot go on holiday, however it should be noted that in some countries there are still restrictions on people with HIV entering the country. The charity, Terrence Higgins Trust, has details you may find helpful. Sickle cell is a condition that people are born with and is caused by a faulty gene which affects how red blood cells develop. It’s a serious and variable circulatory condition, and although it can be managed through medication and treatments such as blood transfusions, it can have a significant impact upon a person’s life expectancy. With medical travel insurance in place, such as Free Spirit, that covers your condition (subject to acceptance); you will have the peace of mind that should you have a sickle cell crisis whilst travelling, you can get emergency medical assistance 24 hours a day. Why do I need specialist travel insurance for serious medical conditions? The above are just a few of the serious medical conditions which we can offer travel insurance to cover, subject to medical screening either online or over the phone. We also cover many other medical conditions and disabilities. Having specialist travel insurance when you have a long-term health problem is vital. Firstly, if you were to be taken ill abroad and didn’t have travel insurance, the cost of hospital treatment could be very expensive. Specialist travel insurance, such as the Free Spirit policy, will mean emergency medical costs are covered*, allowing you to get the treatment you need as soon as you need it. Secondly, our travel insurance will also cover you for cancellation. Having any medical condition, particularly a serious one, is unpredictable. While you may be well when you book your holiday, your condition could flare up before departure and mean that you’re unable to travel. Having our holiday insurance in place will mean that some of the costs you have already paid out can be recovered*. At Free Spirit we will also cover the cancellation costs of those you are travelling with if they are also named on your policy*. How do I get specialist medical travel insurance cover for serious medical conditions? Getting yourself covered with Free Spirit is really simple. While we do offer an option to get a quote for insurance online with serious medical conditions such as those listed above, it may be better to contact us on 02392 419 080 to discuss your needs**. Our friendly team of experts will ask you a series of medical screening questions designed to understand more about your medical condition. This is to make sure that we get the information we need to be able to provide you with an instant quote and provide you with the necessary cover for your trip. Our team are available between Monday-Friday 8am – 6pm (closed bank holiday and weekends), so give us a call today. Having specialist travel insurance in place and knowing you are covered if you have a problem with your long-term medical condition while away is essential to having a relaxing and peaceful holiday. ** In some cases, a quotation is not available online and you will be asked to telephone us to see if we can provide cover. As a specialist travel insurance provider, we help thousands of people every year to take a holiday or travel abroad, safe in the knowledge that help will be available to them should they need it. This is of course a real benefit to those looking for cover, as many standard travel insurance policies exclude pre-existing medical conditions on the basis that hospital treatment or unexpected cancellations cost too much for them to cover. However, we believe that people who have health problems are perhaps those who need a holiday the most and that’s why we work hard to ensure that we can provide the best cover. We cater for a wide range of medical conditions. Here are the top ten conditions we frequently cover and the ways in which we can help people. More than one in four adults in the UK are thought to suffer from high blood pressure, so it’s easy to see why it’s one of the most common conditions among Free Spirit customers. While high blood pressure itself can be managed through medication, it can lead to a number of other serious conditions, such as heart attack or stroke. If you have high blood pressure and want to travel on holiday you’ll need to ensure that you have all your medication and that your doctor is happy that travelling, particularly on an airplane, will be suitable for you. Read more about high blood pressure travel insurance. 5.4 million people in the UK currently receive treatment for asthma with varying levels of severity. For those most severely affected, it can be a life-threatening condition. Asthma can be triggered by changes in environment so before you go away you’ll need to make sure you have all your medication with you. Read more about asthma travel insurance. It is estimated that of the 4.5 million people thought to be living with diabetes in the UK, 90 percent have type 2 diabetes. Both type 1 and type 2 diabetes are caused by a lack of the hormone insulin, which controls the level of glucose in the blood. Type 2 diabetes occurs when the pancreas doesn’t produce enough insulin or the body’s cells don’t properly react to insulin. Read more about type 2 diabetes travel insurance. Having a heart attack is one of the most life-changing events that a person can go through – but it shouldn’t mean that you can’t still enjoy your life to the full afterwards. While many standard travel insurance policies won’t cover someone who has had a heart attack, at Free Spirit, in most cases, we will. Relaxation, of course, is really important, as is knowing that cover is in place should you be taken ill at any time on your holiday. Read more about heart attack travel insurance. Of course, as our most vital organ any conditions to do with the heart is serious, and that includes heart rhythm disturbances. Atrial fibrillation is the most common of heart conditions, affecting around one million people in the UK. An episode can require urgent medical assistance and if you are abroad without adequate travel insurance that can be extremely costly. Free Spirit travel insurance allows you to enjoy your holiday knowing if anything were to happen, you can call the 24 hour Medical Emergency Assistance phone number for help and be covered for up to £10,000,000 for emergency medical costs with Super Duper cover (or up to £5,000,000 with Super cover). Read more about atrial fibrillation travel insurance. In the UK, one in eight women and one in 870 men will be diagnosed with breast cancer in their lifetime, making it the most common cancer. If you are currently undergoing treatment for breast cancer or are now in remission, having rest and relaxation is vitally important to aid your recovery. We’ve helped thousands of breast cancer patients to enjoy a holiday, safe in the knowledge that medical assistance can be sought if needed. Read more about breast cancer travel insurance. COPD, or Chronic Obstructive Pulmonary Disease, affects around three million people in the UK. It causes difficulty breathing and while there is currently no cure, treatment can relieve the symptoms. If you have COPD then you need to ensure that you have all the medication you need before travelling abroad. You’ll also want to have a copy of your medical notes or a statement about your condition so that if you were to be taken ill, those treating you will be able to understand what’s happening. Read more about COPD travel insurnce. With all types of arthritis, rest and relaxation is vital to controlling flare-ups. Before travelling you need to ensure that you have all the medication you need and that your doctor has said you are fit to travel. It’s an unpredictable illness though, so our holiday insurance can give you the peace of mind you need knowing you are covered if you are too ill to go*, or if you need medical assistance while you are away. Read more about arthritis travel insurance. This is the less common form of diabetes, affecting an estimated 10 percent of people with diabetes in the UK. Type 1 diabetes occurs when the pancreas does not produce any insulin at all, which means there is nothing to control the glucose level in the blood. Read more about diabetes travel insurance. As an unpredictable illness, many standard travel insurance policies won’t cover people with epilepsy but Free Spirit in most cases will. Every day in the UK, 87 people are diagnosed with epilepsy and it’s a condition which leads to a number of significant life changes. However, it shouldn’t stop you from being able to see the world and enjoy a holiday. Our travel insurance means you are take a break while knowing your medical condition(s) are covered. Read more about epilepsy travel insurance. If you have any of the above medical conditions, or suffer from any other condition or disability, get in touch with us today. At Free Spirit, we are dedicated to providing specialist travel insurance which allows everyone to enjoy a holiday†. Call us on 02392 419 080; we’re open Monday to Friday 8am-6pm, closed Bank Holidays or you can get a quote online at any time. † All Free Spirit enquiries are subject to medical screening; however there may be some occasions when we will not be able to offer cover. Do you think it is possible for me to get travel insurance for my medical condition(s)? In my experience, many people with medical conditions are able to obtain travel insurance through a specialist provider. You will be assessed on an individual basis, which will take into account a number of things like your health, age, where you are travelling to and how long you are going away for. If you find it difficult to talk about your condition, you might want to consider asking a friend or relative to be there while you make the call or they could do it for you as long as they have all the relevant information to hand. It is also useful to know that most travel insurance companies use a medical screening process to determine if they can cover you. I already have a policy but have recently been diagnosed with a new medical condition, what should I do? If there is a change in health of anyone insured under an existing policy you must contact our Medical Screening Service on 02392 419 080 as soon as possible. We will tell you if your change in health will affect your insurance and if cover can continue. • you are waiting to receive treatment (including surgery, tests or investigations) or the results of tests and investigations, or have been admitted to hospital. We will then tell you if we can cover your medical condition(s) free of charge or for an additional premium. • cancelling your policy and receiving a proportionate/partial refund, provided that you have not made a claim or are about to. A change in health includes any changes to your health which you are aware of and for which you may need to seek professional medical advice, any new medical conditions or symptoms which may or may not yet have been diagnosed, changes to any existing medical condition already declared or a change to your treatment or prescribed medication (which can include a change in dosage which may be an increase or decrease in the amount of medication that you take) or you are waiting for tests or test results, or have been placed on a medical waiting list. If you are not sure whether something is relevant you must tell us anyway. At Free Spirit, we’re proud to be different. We aim to provide travel insurance with medical conditions that covers pre-existing conditions and disabilities for people of any age. This is what makes us different to standard travel insurance providers; we do our upmost to help people with medical conditions and disabilities have the holiday or trip away they deserve. As the first specialist travel insurance scheme of its type, Free Spirit is dedicated to those who have been declined travel insurance cover elsewhere due to their health. Ours is now one of the UK’s largest medical travel insurance schemes for people with pre-existing conditions and disabilities. So, don’t worry if you have struggled to find travel insurance for your medical condition or disability in the past. We’ll do all we can to offer you a specialist travel insurance policy to suit you. What are pre-existing medical conditions? Essentially, a pre-existing medical condition can be defined as anything you’ve received a diagnosis for, or take prescribed medication for. Take a look at our more detailed list below of medical conditions and disabilities that Free Spirit can cover. When looking for a quote for travel insurance to cover your pre-existing condition, it’s vital to let the insurance provider know your full medical history, as failing to mention any medical condition could invalidate your policy. It’s also important to answer all medical questions accurately as providing incorrect answers could affect any claim you make. At Free Spirit, our medical screening process is designed to enable you to declare all of your medical conditions and answer a series of simple questions, so that you get the cover that’s right for you. Why is it so important to cover your pre-existing medical conditions before you travel? While it’s not a legal requirement to have travel insurance for pre-existing conditions and disabilities in place, if you needed to cancel your trip due to your medical condition without insurance, you could be liable for loss of deposit or cancellation costs. Having specialist travel insurance means you will be protected for irrecoverable costs that you incur. Equally, your travelling companions will also be covered provided they are included on your policy. It’s important to read the Insurance Policy as terms and conditions will apply. One of the main reasons people purchase travel insurance is to cover themselves for emergency medical expenses. Provided you have declared your medical condition(s), you will be protected whilst travelling in the event you have a medical emergency due to your pre-existing medical condition and need treatment. Without the correct cover in place, you could be faced with having to pay thousands of pounds for medical costs or repatriation charges. Plenty of standard travel insurance providers offer cheap prices, but it’s unlikely they will include the level of cover you need for your medical condition or disability. Many of these insurance providers will exclude cover for health conditions, or may simply refuse to offer travel insurance for pre-existing medical conditions or disabilities altogether. This can lead to people travelling abroad without adequate cover, but it’s simply not worth the gamble. Not only can this put your health at risk, it can leave you liable for enormous bills if you need medical treatment while overseas, or if you need to be repatriated back home. Is there really no age limit to Free Spirit medical travel insurance? Our travel insurance for medical conditions and disabilities has no upper age limit, so whatever your age you can ensure you are covered when you go on holiday. We can offer over 65s cover for single trips of up to 94 days or up to 45 days if you are aged 76 years or over. For over 80s and over 90s, we can offer cover for single trips of up to 45 days. 1. When should I purchase cover? It’s best to take out your travel insurance as soon as you have booked your trip, so that you have the benefit of cancellation cover. With an Annual Multi-trip policy, cancellation cover begins on the date you choose to start your policy. If you already have a trip booked and you want to be covered immediately, you should select today’s date. With Free Spirit, you can choose to start your Annual Multi-trip policy later (up to 31 days from today’s date) but there would not be any cancellation cover between now and the start date you choose. 2. Can you add your travelling companions to your policy? With Free Spirit, you can. They too can claim if you needed to cancel your holiday because of your pre-existing medical condition or if your trip had to be cut short because you became unwell. A specialist provider like Free Spirit will be more sympathetic to your unique medical needs. Our travel insurance policies are specially designed for people like you. 4. Do you have the freedom to travel where you want to? We believe if you are well enough to travel to your dream destination, you should be covered to do so. Free Spirit will aim to cover your medical conditions or disability throughout Europe, as well as further afield such as the USA, Canada or the Caribbean (although these countries mean higher premiums). 5. Will you be covered for other essential aspects of travel? Make sure your policy has cover not just for emergency medical and cancellation costs, but for your personal belongings and travel documents too. If your flight is late leaving, will you be covered for travel delay or journey disruption? How about if you lose your prescribed medication or medical aids? With Free Spirit, you’re covered*. 6. What medical questions will I be asked when I apply for a quote? You will be asked a series of questions relating to your specific medical condition. It is important to have all that information to hand when you are applying for a quote so you can accurately answer all the questions. Insurers do not normally ask to see your formal medical records when you apply for travel insurance, but may request them if you make a claim. 7. Can I obtain travel insurance if my condition is terminal? Free Spirit is one of the few specialist providers that can provide cover for people with terminal or life limiting conditions. For a quotation, please call us on 02392 419 080. We are open 8am to 6pm, Monday to Friday, closed Bank Holidays. 8. What is the excess on the policy? Check the excess you will have to pay in the event of claim. Some standard travel insurance policies with cheap rates may be tempting, but the excess can catch you out! Our policy excess is never more than £100 per person. 9. Am I covered for taking part in activities whilst I’m away? If you are planning to take part in activities on holiday, it’s important to check if you are covered. Free Spirit provides cover for over 100 activities free of charge. 10. Does the policy include cover for medical aids and medication? For those travelling with a medical condition, the chances are that you will be taking medication with you. The Free Spirit policy includes cover for loss or damage to medical aids up to £1,000 (‘Super’ cover) and up to £2,000 (‘Super’ Duper). Loss or damage to prescribed medication is covered up to £250 (‘Super’ cover) and up to £500 (‘Super Duper’ cover). Don’t let a heart condition stop you from travelling. Get a specialist quote and cover today from Free Spirit. If you have a mental health condition, we can provide you with the cover you need when you travel abroad. Most types of brain-related condition can be covered with Free Spirit travel insurance. With Free Spirit, you get travel insurance to cover HIV and AIDS that includes cover for the complications that may occur as a result of the condition. Free Spirit can provide travel insurance for people with back problems. No matter what the issue, we hope to be able to offer you the peace of mind you need when you travel. Don’t let circulatory conditions stop you from travelling. Our specialist travel insurance includes cover for loss or damage to prescribed medications. Most types of central nervous system disorder can be included in your travel insurance cover with us. Most pre-existing breathing conditions will need specialist travel insurance. Cover yourself with Free Spirit’s specialist travel insurance policy. We can provide travel insurance for people with pre-existing joint conditions. If you have a kidney condition, travel insurance that covers it can be hard to find. Use our online medical screening and get an immediate quote. Protect yourself when you travel with medical condition travel insurance. Make sure you disclose your rare condition when you get a quote and purchase your Free Spirit policy. Pre-existing conditions relating to the liver may be covered by Free Spirit travel insurance. Apply for cover today for peace of mind travel. Don’t let a disability stop you from travelling. We cater for a number of different disabilities and include cover for loss or damage to medical aids and prescribed medications. If you have had an organ transplant, it can be hard to find the travel insurance cover you need. Call us today on 02392 419 080 and talk to our friendly staff. We are open 8am to 6pm, Monday to Friday, closed Bank Holidays. *As with all travel insurance policies, terms, conditions and exclusions will apply. We want everybody to travel no matter their age and it is important that they are not put off enjoying holidays or making important trips in their later years because they wrongly believe themselves to be ‘uninsurable’. An older traveller does not necessarily pose any greater ‘risk’ just because they have another birthday. As we have no age limits, Free Spirit will consider customers of any age so even centenarians can travel abroad as often as they like. Choice is not something senior travellers are used to when it comes to travel insurance but we believe everyone deserves the right to travel and we strive to offer insurance for people of all ages, with the majority of medical conditions travelling to any destination. On some occasions it may not be possible to offer a quote but we will always let you know the reason why. Some standard insurance providers avoid senior travellers because they believe the risks are higher, but these people are the ones who are most in need of insurance protection. 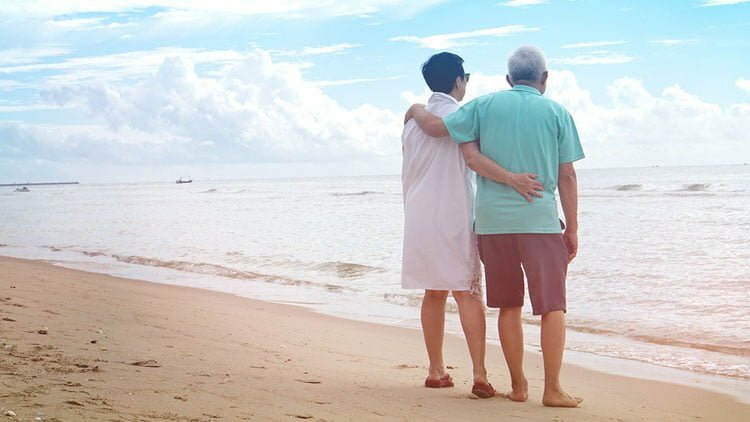 The UK has an aging population with more and more people in retirement and many of them want to enjoy their golden years by travelling abroad. 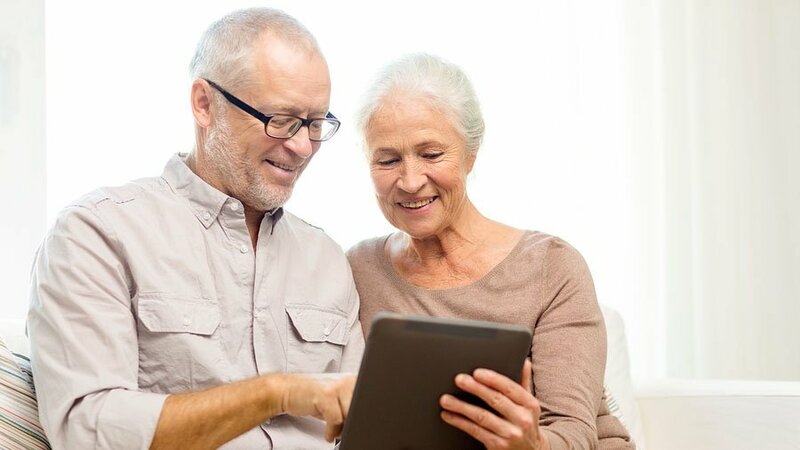 Free Spirit prides itself with successfully insuring people in their 80s and 90s with single trip policies and with the appropriate medical screening and it is now able to do the same for those who want an annual policy. Annual travel insurance is a great way to get continuous travel insurance protection for the whole year. You simply need to buy one travel insurance policy and it will provide you with cover for an unlimited number of holidays throughout the year. It allows you to travel as many times as you want in a year and has maximum single trip durations of 31 days on the Super cover and 45 days on the Super Duper cover. With any type of travel insurance, it is very important to declare all of your pre-existing medical conditions when you are getting a quote. This will ensure that you are fully covered if you fall ill before you travel or while you are abroad, if it relates to a pre-existing medical condition. Can annual travel insurance save you money? If you are likely to travel more than once or twice in a year, annual trip cover can work out cheaper than buying a single trip policy for each journey. A great benefit of annual holiday insurance, whether you need to cover medical conditions or not, is that you only have to buy it once a year! We will notify you when the policy is due to be renewed and let you know how you can issue a new policy, so that you don’t run the risk of travelling uninsured. One added advantage of covering all travelling adult companions on the same annual policy is that they can travel independently of each other as well as together, great news if you are a couple or a family. As long as you have a valid annual travel insurance policy in place, this can give you continuous cover for cancellation just in case! If you are forced to cancel a trip because of a declared pre-existing medical condition, or due to a new condition being diagnosed after the time you purchased your policy, cover would be in place for any holiday costs already paid. Alternatively you may like to have the convenience of issuing a policy yourself online? We have a simple to use interactive medical screening system to enable you to do that, so there is no need to panic if you have left it until the last minute to book. We don’t use age as a barrier to offering you an insurance cover, so don’t let age get in the way of you travelling abroad and seeking out new travel adventures. I know from experience that finding good affordable travel insurance cover can be difficult and even stressful at times especially if you have a pre-existing medical condition or disability. My daughter & I have both have medical conditions and prior to me working for Free Spirit, I used to dread the thought of trying to find a suitable insurance cover to ensure we were both fully protected when travelling abroad. Most standard travel insurance policies offer limited cover for medical conditions, which can lead people to travelling without appropriate cover. You may find that standard policies cover minor conditions but not chronic conditions like cancer, renal failure or even heart problems. After spending long periods of time searching for a policy to cover epilepsy, I felt like giving up as the majority of standard policies I looked at, would not cover the condition because of the medication and the severity of the seizures. However I knew how important it was to find the right policy for our needs, no matter what. Free Spirit is different as it can provide you with a tailor-made cover to suit every travellers needs. No matter what your age or holiday destination, we aim to cover the majority of conditions and better still, at a reasonable price! What’s more, we won’t ask you personal or irrelevant questions about your medical conditions. Our experienced medical screening team concentrate on providing a caring specialist service and we will only ask the questions that are relevant to the insurance policy. It’s unlikely you will get this level of service with most standard insurance providers, where you may find yourself faced with an adviser who doesn’t know the first thing about your disability or medical condition. I remember spending hours on the phone having to explain the same details time and time again! You can imagine how frustrating it was. The difference with Free Spirit is that we care about the service we provide to our customers and we will always treat every customer fairly and just because you have a disability or medical condition doesn’t mean you have to be treated less favourably! ever had any treatment for any respiratory conditions relating to the lungs or breathing? ever had any treatment for any heart, circulatory, kidney, liver, or any type of cerebral condition relating to the brain or any stroke or central nervous system disorder? been diagnosed or treated for any form of cancer in the last 5 years? had any surgery, inpatient treatment or investigations or seen a specialist consultant in the last 2 years? According to the Foreign and Commonwealth Office, one in ten over 55 year olds admit that they do not always take out travel insurance, even though more than half say they have pre-existing medical conditions which could lead to a medical emergency while abroad. It is a false economy to cut costs and not buy insurance or if you choose not to declare all of your medical history; your policy may be invalidated and in the event of a claim, you may not be covered. For example with some specialist policies, if you failed to declare that you have asthma or were recently admitted to hospital because of gastroenteritis or even had the ‘all clear’ from cancer and went on holiday, if you then suffered a medical emergency requiring treatment because of these un-declared conditions, your insurer may not be obliged to pay out. This of course could leave you severely out of pocket! The Free Spirit medical screening team will ask you all the questions needed to ensure you get the right cover for your travel needs. However, you must give true answers to all questions, if you do not do so, the travel insurance may not protect you and anyone else covered on the policy in the event of a claim. Are you fit to travel (as confirmed by your medical practitioner)? Are you on a waiting list, awaiting investigations or inpatient hospital treatment? Have you any knowledge of the need for surgery, inpatient treatment or investigations? Are you aware of a medical condition but have not yet received a diagnosis? If awake, do you normally lose consciousness during a fit/seizure? How many fits/seizures causing loss of consciousness have you had in the last four weeks? How many fits/seizures causing loss of consciousness have you had in the last six months? How many unplanned hospital admissions have you had for epilepsy/seizures in the last year? How many different medicines do you take for your epilepsy/seizures? How long ago was your first fit/seizure? If not already declared to us, is your epilepsy/seizures caused by? Most people seem to think they don’t need insurance because they are only going to be away from home for a long weekend when going on a city break. They may have a preconception that specialist insurance is very expensive or because they haven’t booked a hotel as they are staying with friends and families, you don’t need insurance. You may also think you have sufficient insurance through your bank but don’t be fooled! They generally have age limits, high excess and restrictions on medical conditions covered. After booking your package holiday, hotel or flight, the next purchase should always be specialist travel insurance. This will ensure you have cancellation cover in place should you need to cancel your trip because of your declared medical condition. More importantly, the specialist cover will give you the peace of mind that, despite your pocket being a few pounds lighter because of the cost of insurance, it won’t be tens of thousands of pounds out of pocket because you wanted to cut costs!